Are you using the 81lb text paper? Your flowers are beautiful! I am a newby at paper flowers but so love making them and experimenting with different things! They are so much fun! I did some “vintage” roses which turned out awesome! I have also done some tiger lilies. I like to “paint” them with ink too. (do you ever do that?) I have had some trouble with the paper not curling right and am wondering if it is the weight (?) since I am using cardstock. I am so glad I found your sight! Yes, the 81lb text weight is my preference 🙂 It’s much easier to work with than cardstock. Sometimes I do add color either by printing a watercolor wash on the paper, or using brush tipped markers (Copic is my favorite brand). Welcome to paper flower crafting!! Love the paper rose an all other flower you do. 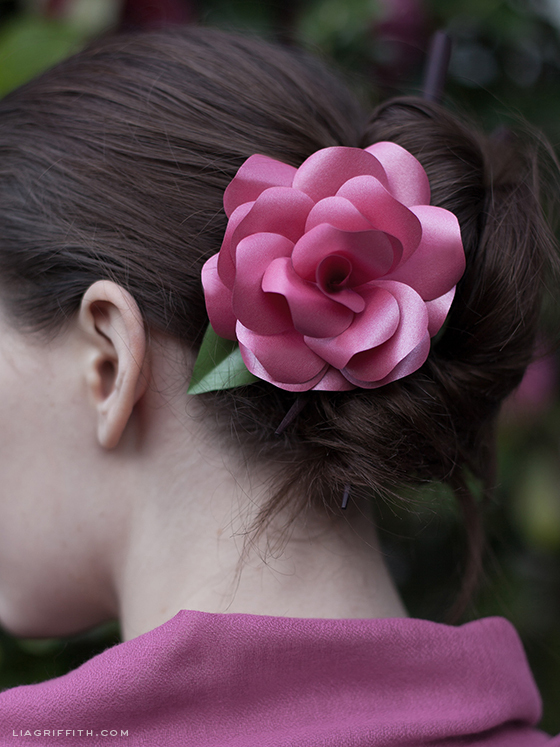 Have you ever though of making a rose bud ? I would love to see how it would come out . Thank you for all the sharing an all the beautifull thing you make . Thank you! I don’t have a rose bud design for paper, but I do have some felt rose buds that you can find here: https://liagriffith.com/gorgeous-felt-rose-bud/. 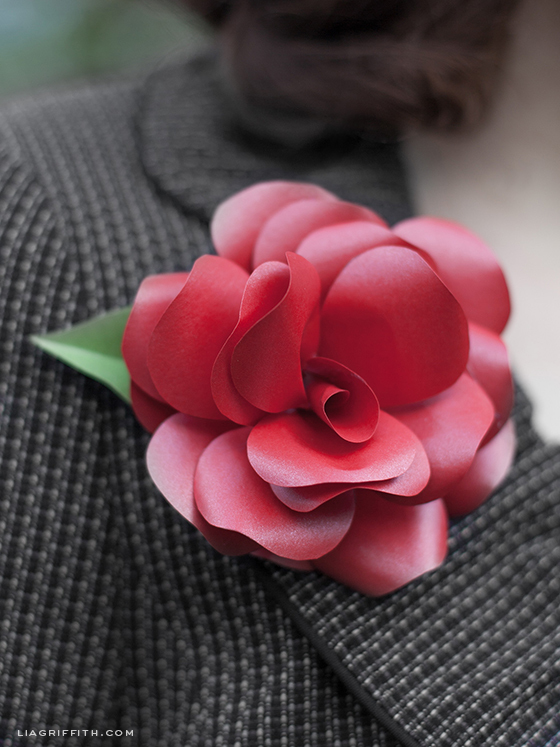 Maybe I will have to make a paper rose bud too! Sou Nadine, do Brasil e tenho uma dúvida, quanto ao papel para fazer as flores. Qual tipo e gramatura de papel devo usar para fazê-las? Você tem algum tutorial de tulipas de papel? Qual papel tem esse brilho como o das flores acima, ou é efeito da impressão que foi realizada? Congratulations on your upcoming wedding!! Enjoy the flowers! I bought the paper from paper-papers but am having some trouble. I’ve tried to use both paper cement and glue stick to try to paste the petals together but the paper is so glossy the glue just comes off! After a couple of tries and a couple of layers of glue they finally stick, but they don’t seem that sturdy. I’ve been making cardstock roses with another design and have had no problems with glue. Do you have any tips? I love love love your flower templates. Thank you so much. After seeing what you had done, I purchased the cricut air with your templates, as I am making different flowers out of old maps for my wedding. Question – If I am mixing the paper flowers with real flowers in my bouquet, do you have any suggestions for preserving them (like a spray decoupage)? Thanks! Congratulations on your upcoming wedding! I love the ideas of using old maps, just be careful so they don’t rip on the machine (not all paper cuts equal) No, don’t use spray decoupage. They should be fine as long as you don’t get the wet. Do you have a svg rose leaf program to down load? I have been making close to 200 paper flowers for my 40th wedding anniversary renewal in June. The rose is my favorite. I would like not to have to cut them by hand. I have a lot to do for the party. I don’t see a rose leaf on the mini paper rose page that you referenced. Any other suggestions? I’ve made two wedding bouquets using this flower template, modified just a bit for size variation. I use cotton resume paper for a soft sheen and beautiful texture. People have a hard time believing they’re paper! How lovely!!!! please send us pictues (hello@liagriffith.com) amazing what you can do with some paper! I absolutely love all the beautiful things you make out of paper! I’m not much of a paper gal myself, but i was determined to take your tutorial and make it into an edible version. So instead of paper i used wafer paper (that way i could put it on cakes) . If you don’t mind i would love to share your tutorial with my edible tweaks. Of course it would still be your tutorial, but i think a lot of people in my caking community would love to apply your templates and instructions to wafer paper! How fun!! Would love to see pictures (and share them with our readers) please send them to hello@liagriffith.com You are welcome to share my tutorial just link to my site. Thanks you!! Hi Lia, Your paper flowers are pretty. I suggest if you can send the blocks. Thank you. What do you mean by sending the blocks? Hi Lia .we have a cricut Expression 2…. Is the rose cut pattern available for this machine? We are doing a wedding and need hundreds!!!! Thanks for sharing…. Unfortunately no. The Explore is the only machine that you can upload your own designs. Awe, that sounds so sweet! can you give me the paper name please ? and can we print on it with regular printer ? Hi. I buy the text weight paper from Paper-Papers and yes you can print on it with a regular printer. Have fun! What a great blog you have here Lia! You are very talented. I have enjoyed looking at all your beautiful flowers! I especailly like this rose with the metalic paper. I will be trying it in the very near future. Thank you so much for sharing and creating such a great tutorial! Thank you Lia. Your flowers and Ideas are fantastic. Me and my 2 girls 11 & 9 try to make your flowers over weekends. Not to your standard yet, but all the more reason to keep on trying. I’m from S.A. so will have to convert the inches to cm. Thank you for your reply. I am sure they are still beautiful though! 🙂 I love to hear when kids make these flowers too. Hi Lia, do you have a template that has more than 1set for rose on. It feels like such a waste to print one rose per page, or maybee I am doing it wrong? One rose fills up an 8.5×11 paper. If it is printing different then you are resizing it. 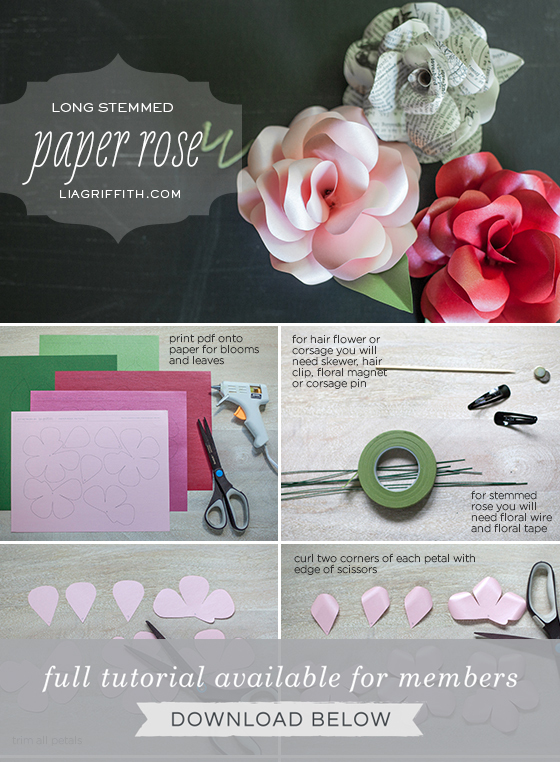 Love your paper roses! I was wondering if the leaves are also metallic paper and if so what color is it? I went to paper-papers but think that their picture does not match the actual paper color as the one you show here has a different color there… Hard time finding a nice light green to make the leaves. I think the botanic green you used on another flower is a little too dark for my liking. Thank you so much for the tutorial, video and patterns! I have read and seen on couple craft shows that if you put glue sticks in freezer won’t have as many or any glue strings. I’ve got mine in freezer right now, am about to get them out to put something on something so will let you know how it works. Your paper flowers are so exquisite Lia, they look so real making them with the metallic papers, the sheen on petals and leaves is especially pretty. How gorgeous they look on anything, used in any way. Thank you for sharing your time and talents with us. I’m not usually a rose person but yours have changed my mind. I’ve looked at craft stores in town but have yet to find any papers that are equal to quality papers you use. Let me know if it worked for you! I will definitely try that too. Thanks for the great ideas. I live in the BIG (haha) city of Portland and still have to order my paper. There is no place here to buy it either. I made one of these beautiful roses for my mum for Mother’s Day. Thank you for the detailed instructions and the free patterns! …of course the post includes a link to this side! BEAUTIFUL flowers! 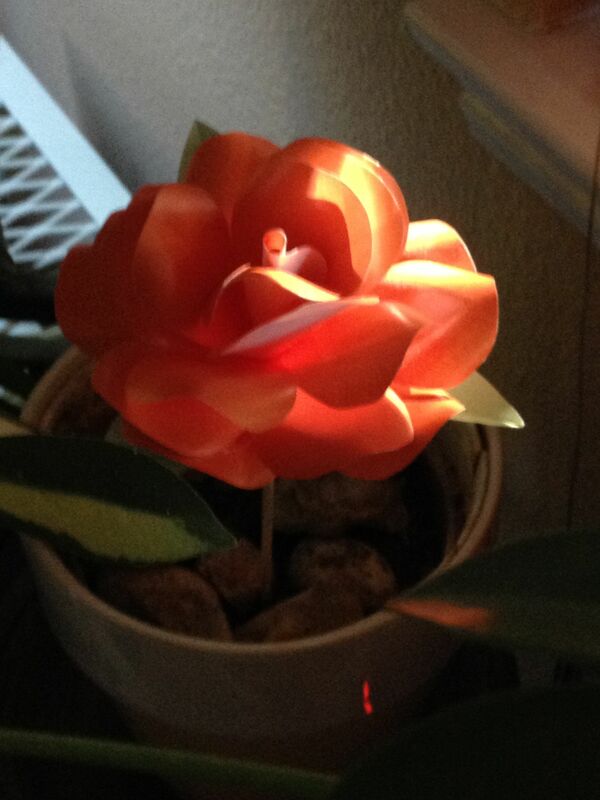 I’ve been searching the net for an easy paper flower and yours seems more doable & less time consuming than others. Thanks SO much for sharing! Happy you found them then!! Let me know how it all goes. The glue stick really won’t work. Go buy yourself a low heat glue gun. I ONLY use those now. It took me a while to learn after many bandaged fingers. 🙂 If your are still not into the glue gun, then try glue dots. I promise you that the low heat glue gun is the best answer though. I can touch it almost immediately and it does hold. The only negative side is you will have more glue spider webs. 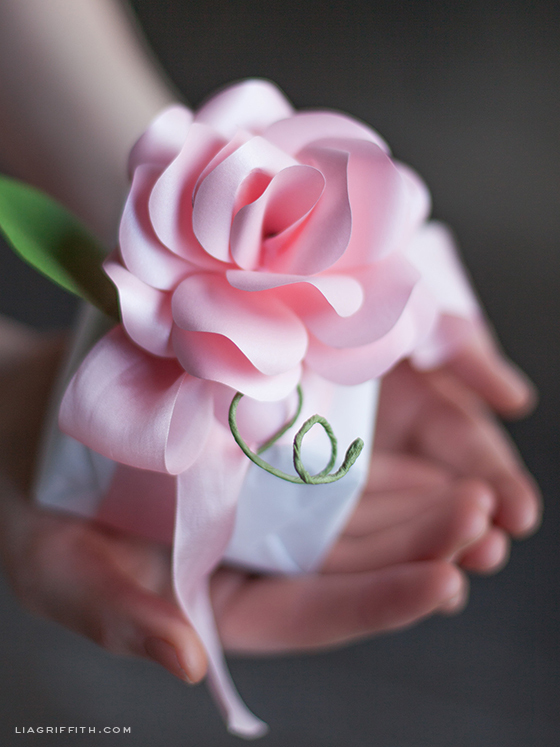 These are the most beautiful paper roses i have seen. Thank you so much for sharing. You Paper roses are gorgeous. You work is truly amazing. Love them. Am trying to make them.. 🙂 I have a quick question for you. Sometimes when I print out the rose template it fills my entire A4 size page. Sometimes it fills only half the page allowing me 2 roses per page. Can you help me with this? I am looking for the template that allows 2 roses per A4 size page. Hi again Seena. It seems that you may be reducing it to get the half page as I design it for the full page. The roses will be very small and maybe difficult to make if you print them half size, but maybe you have nimble fingers. When you print the half, does it center on the page or go to one side? If it print on the one side you could turn the paper around and print onto the other half. If not. . . let me know and we can figure something out. It may be different for each paper mill, but any text weight works really well. Lia does text paper only come in one weight? If not what weight do you buy? Can I share with you the flowers I made out of copy paper? Weights may be different per paper mill, but any text weight is good. I just don’t prefer card stock as it does not curl smoothly. Yes! I want to see your copy paper flower! You can email it to me at lia@liagriffith.com or share it on my blog’s facebook page. I really really really love your paper roses! They are beautifull. I downloaded soms templates and look forward tot make some of them. But I need to collect some materials first. Wonderful! Share photos when you are done! these look so real. thanks for sharing the pattern and directions with us. I followed on pinterest and going to fb now. Thanks! More good things to come! curious metallic, shine shimmer metallic or stardream metallic – which one would be your choice? are these papers two sided? thanks for your advice. Thanks Annette! All those paper brands are good, I use all. I guess it is about which color you want. 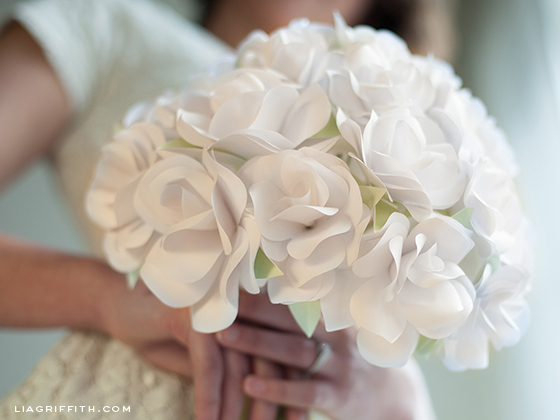 The papers are two sided so perfect for making paper flowers. Hey Lia, great tutorial and great Blog! I´ve just finished one of this roses! Amazing! I used your Printout to make a cut-file for silhouette Cameo. So i didn´t had to cut out per hand. Now some of my friends asked me to share the file but i don´t want it without your ok.
Am i allowed to share the File? Its awesome. Can you please tell me where to get the Metallic paper of the kind that you used. I purchase my metallic paper from paper-papers.com. I use the text weight not the card stock as it is a nicer finish. Thank you so much for uploading these tutorials! I made 3 bouquets for my friend’s wedding reception and they love it! Wonderful! Share photos! I would love to see. You can share on my facebook page. I love your beautiful flowers! You are a special person to share all your crafts! Is there anyway that you could share the colors you are using on your flowers….I use the paper-papers website but its hard to tell what you are using…. Thanks Renee! It looks like the middle pink is no longer available, but the others two are Mars (red) and Rose Quartz (pale pink). The white is just printer paper, but you can use a metallic white like Ice Gold. Your creations are beautifully made. I am happy I came across your tutorials. Thank you also for providing us with templates. I am excited to make my first! I am a novice and I was amazed at how realistic and how wonderfully fun it was making these roses! So happy to hear!! Your rose looks gorgeous. What is the name of the color of the metallic red paper you buy from paper-papers.com? I found one in a color called BLOOM I think but i want to make sure its red and not pink. Bloom is a bit more pink. The red is called Jupiter. Hey Lia, your stuff are really beautiful! The photos are well-snapped, the colors are well-matched… I love them so much!!! i just want to know which paper i should use so that i can put it in my printer to get that printout of layout? You can use any paper you like. I prefer a letter or text weight paper as it curls better. In this post I used a metallic paper. Can you help me on one more thing, the paper rose wreath u made , other than foam disc what can i use in its base? Well, I think you could use a piece of cardboard, even recycled, cut into a wreath shape. I have also made them by attaching the flowers onto a twig or grapevine wreath. I don’t cover the paper with anything. Keep it in a box or bag and a blow dryer would remove any dust. Lia. Thank you so much for your generosity. I have come to your site repeatedly to print off flower patterns and have enjoyed giving these wonderful creations to family and friends. That combination of creative and generous is wonderful and such a blessing. Thanks again! Another GORGEOUS Art I ABSOLUTELY have to learn & learn extremely well! I think so highly of talented people like yourself who graciously share projects and ideas so that others can learn! Beautiful, what kind of paper do we use, methalic or normal? In this version I did use metallic but I have used a solid color paper as well. It is up to your style. I do highly recommend a text weight over card stock though. See if paper-papers.com has international shipping. It is worth a look. Oh, too bad. If I find a better source for shipped paper I will let you know. You are awesome Kriszti! I will share with everyone your find. I just saw this pinned in pinterest. I really like it and would want to try creating one. Can you please tell me where to get the Metallic paper of the kind that you used? I did give you two links on the post for paper-papers.com where I buy my metallic paper. You can go check those out. I use text weight not card stock. Will make these soon. Love them and so simple to make. Thank you for sharing! You will have fun making these! awe sooooooooooooooo pretty, thanks for sharing. You are so welcome Regina!